I got home this afternoon to this "early Christmas present!" In case you don't know from the innocuous exterior (and fuzzy picture) this is a French butter dish, also known as a Beurrier Breton. It seems both JF and I put this on our Christmas lists, so today he went out and got one - thus avoiding the potential two French butter dishes under the tree come December 25th. French butter dishes keep butter at a temperature at which it is easily spreadable (unlike the fridge) but which also keeps longer on the counter. 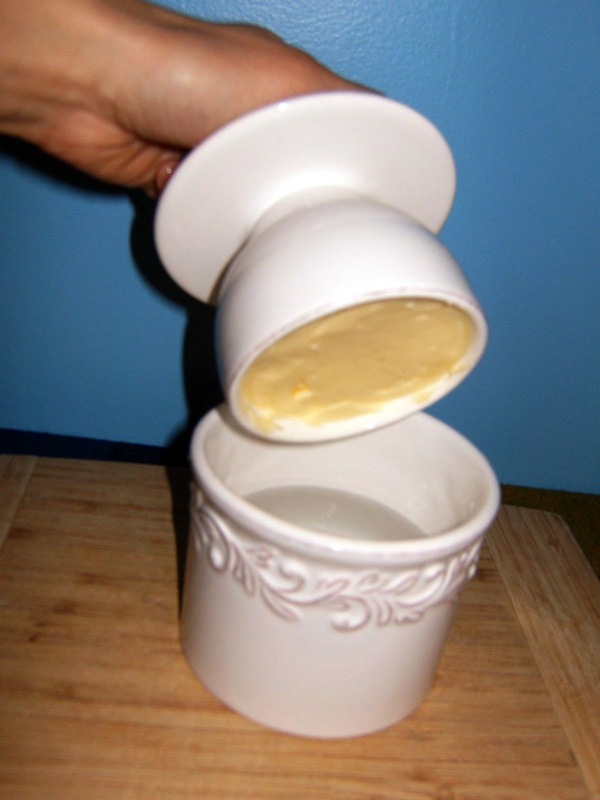 The butter is kept upside down in water (see photos below) and if the water is changed every few days, the butter can keep for up to a month! 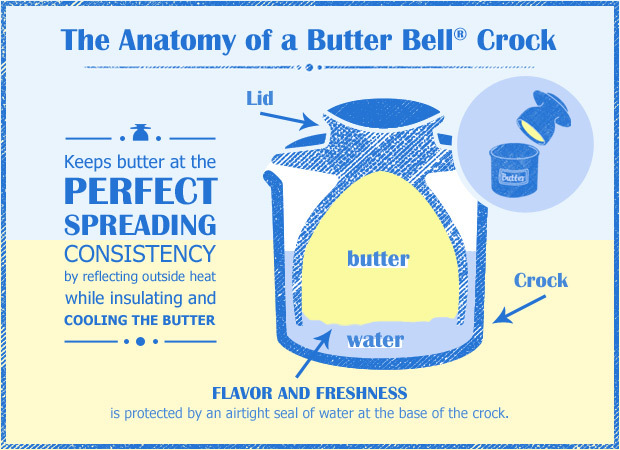 Taken from the Butter Bell company website. 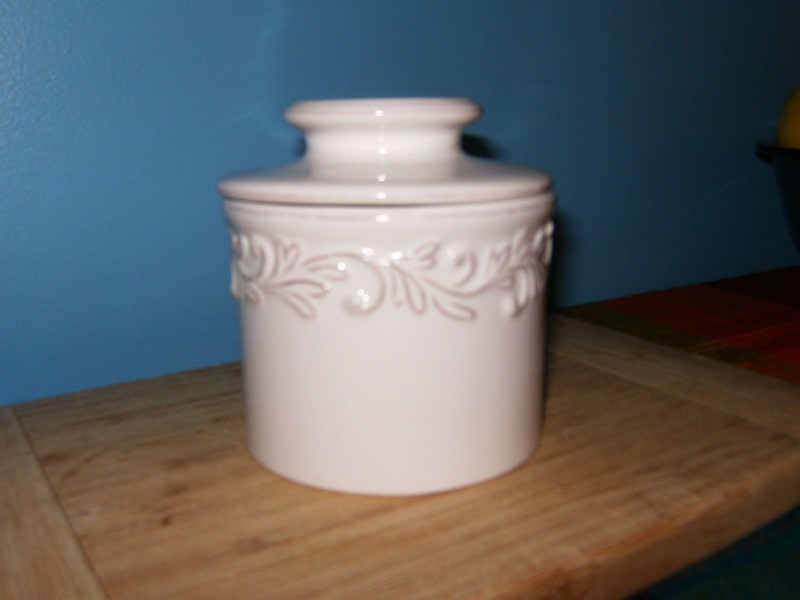 Despite putting minimal butter out at a time, our last butter dish often lead to turned butter after as little as 6 days. I'm hoping this Butter Bell lives up to it's reputation!